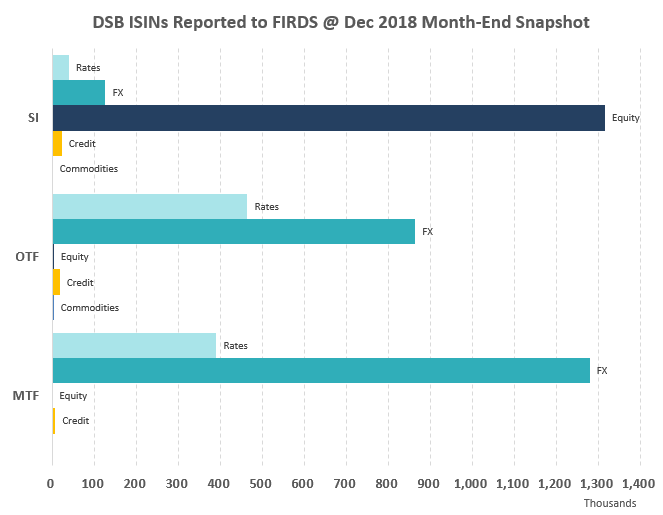 December saw a higher number of interest rate OTC derivatives reported to FIRDS for reference data purposes, driven mostly by an increase in reporting by venues. Most other trends held constant with only one new MIC (a SI) being added to the existing list. 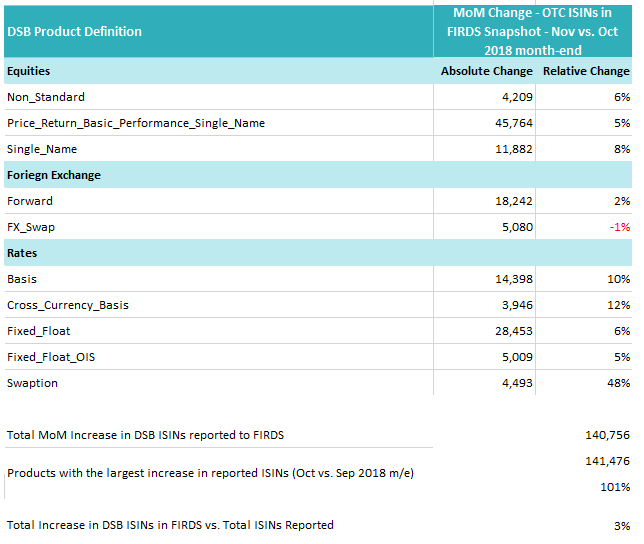 As with prior months, there is little reference data reporting for commodities in general, with OTFs continuing to dominate this arena, although SIs reported commodity derivative data for the first time in September 2018. 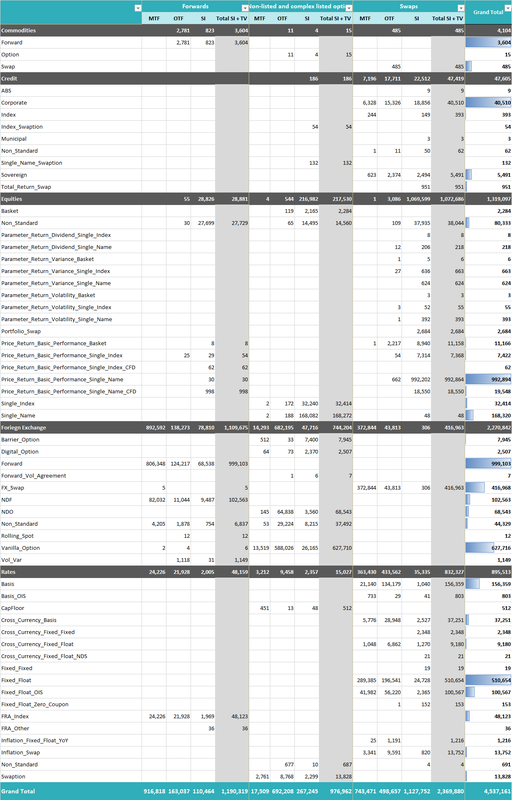 A detailed breakdown for every DSB product reported to FIRDS (for reference data purposes) is set out below. As noted above, the list of MICs reporting to FIRDS was largely consistent, with only one new SI reporting to FIRDS in December 2018. The usual MIC level analysis is set out below.